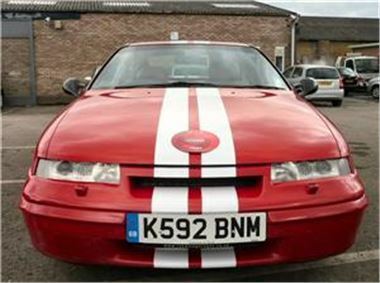 People considering buying a car at auction could also do their bit for charity by bidding at a Red Nose Day sale this Friday. The event has been organised by Kia and British Car Auctions and every penny raised will go to Comic Relief. During the sale, 20 used motors will go under the hammer and - as there are no reserves set - each model will be sold to the highest bidder. Kia has donated the vehicles for the auction and BCA has agreed to hold the sale free of charge. Each car has a valid MOT certificate that lasts for at least six months. The event is due to get underway at 10:00 GMT at Measham auction centre. Craig Purvey, BCA national account manager, commented: "Kia and BCA have worked closely together to stage this sale and we hope to attract a massive crowd of buyers on the day." In February, the same company put a Ferrari up for auction that had previously been owned by England football star Joe Cole.